A short 3 minute video demonstration should play above automatically. 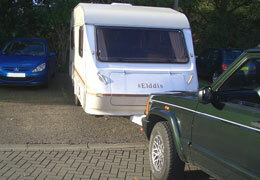 Front towbars are ideal for manoeuvring caravans. 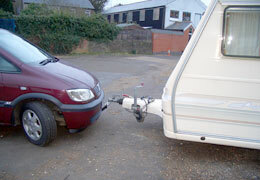 Click here for more details about moving caravans with a front towbar. Front tow bars make launching boats easy. 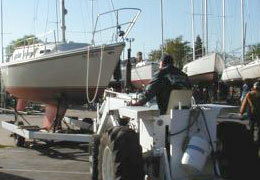 Click here for more details about launching boats with a front towbar. 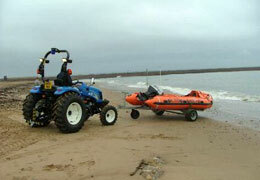 details of our range of portable front or rear mounted winches. 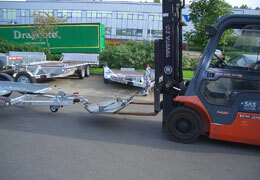 Many industries have used front mounted tow bars and hitches successfully for decades. It has become second nature to them and you may have even seen them being used. The aircraft industry uses front mounted hitches to park aircraft onto the stand which is possibly the worlds’ most difficult parking job! 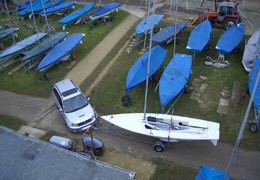 The RNLI and other boating establishments such as boat yards and slipway owners have for years understood the benefits of a front mounted towbar for launching their boats. And if you turn up at almost any caravan or trailer manufacturer you will find a modified vehicle of some description with a front mounted towball pushing their trailers around the yard and maneuvering them into and out of tight spots and parking spaces. 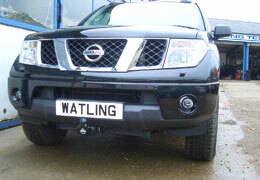 This has been a trade secret for a long time and now we here at Watling Engineers want to offer you the benefits of a front mounted towbar. 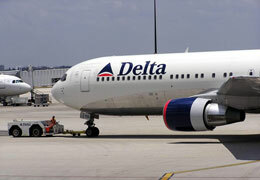 But the question remains – why are they so good? 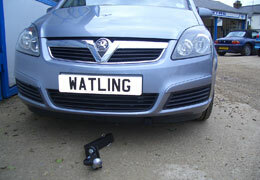 Here is a video from the Caravan Channel when they came to film us fitting a front towbar to a Jeep Grand Cherokee. Well, for a start you can see where you are going. We know it sounds obvious but haven’t you ever thought, as you are peering round your headrest trying to miss a tree with the back end of your caravan, or hoping not to drive off the edge of the slipway that it would be much easier if you could actually see where you are going? Being able to see clearly where you are going gives you a tremendous amount of confidence in what you are doing. This is made even better because as standard we offset the towball to the passengers side, which leaves the driver with a clear view in front. Then we have the maneuverability of your trailer. 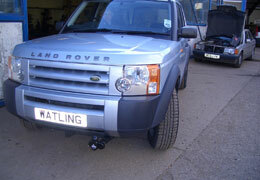 With a rear towbar the turning wheels are a long way away from the pivot point (towball). 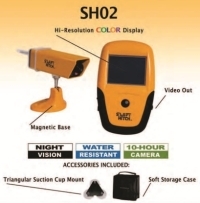 This greatly increases the reaction time for any turn to be initiated. With a front towbar, the opposite is true. The turning wheels are very close to the pivot point which gives very quick directional change and much greater control over the position of the trailer. 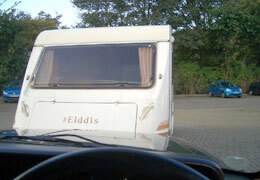 When reversing a trailer you also get problems with opposite lock and jack knifing. There comes a point when no matter which way you turn the steering wheel the trailer will jack knife and you have no option but to pull forward and start again. 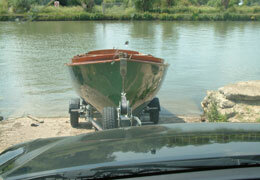 With a front towbar it is almost impossible to jack knife. You can turn out of almost any difficult situation – not that there are many difficult situations because you can see where you are going! Click here for pricelistor please contact us for a mail order quote. 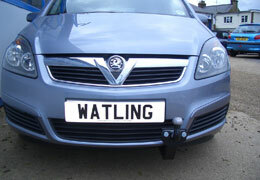 Here at Watling Engineers we have developed a range of front towbars that fit onto an ever expanding list of vehicles. 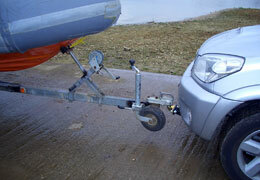 Front push-tow bars are ideal for launching boats on any slipway, or manoeuvring caravans into any space, as everything you need to see is directly in front of you. Like a tow bar, the pushbars consist of a steel frame, which is bolted onto the front chassis of the vehicle, with a detachable section onto which a towball is bolted. The whole item is very discrete and can barely be noticed when not in use. Designs include most common 4x4s like the Landrover Discovery Series 1,2 and 3, the Nissan Navara and an increasing number of saloon cars like the Zafira pictured here. Reversing is a pain in the neck, literally, and if you happen to be attached to a trailer or caravan at the time, it is even worse. It doesn’t seem to matter which way you turn the wheel, the damn thing just wont go where you want it to. 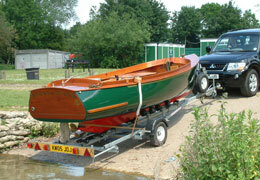 Now this is fine if you have an open field and plenty of time, but if you are trying to get your caravan down a tight driveway or launch your boat on an awkward slipway, it can be more than a little frustrating. 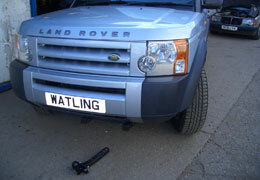 A front towbar eliminates this frustration because you can see where you are going. 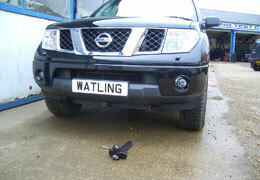 Don't just take our word for it, click here to read what Boat Mart thought about our Front Towbars.